Hog fuel boilers are wood-fired boilers used predominantly in paper mills, sawmills, and wood processing plants. The term “hog fuel” refers to the wide variety of wood and wood wastes used to feed the boilers (called hogged fuel). Hog fuel contains wood residue, wood waste products, bark, sawdust, planer shavings, and wood chunks that are processed into coarse chips and clumps. The ash from burning wood and wood wastes has a very high pH, high enough to make the wood ash exhibit a corrosive characteristic, which must be considered when selecting valves and actuators. All equipment in contact, or in close proximity, to this ash must stand up to the wet, corrosive, and dirty environment. To facilitate the removal and transport of the ash, water is introduced for handling and management, thus creating corrosive slurries. 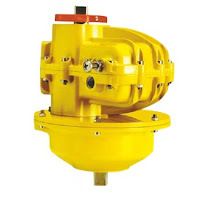 Control valves with pneumatic actuators are used to control water flow and slurry flow. The environment is extremely dirty, and as mentioned above, corrosive. Any equipment connected to this process must be designed with performance and maintenance in mind. 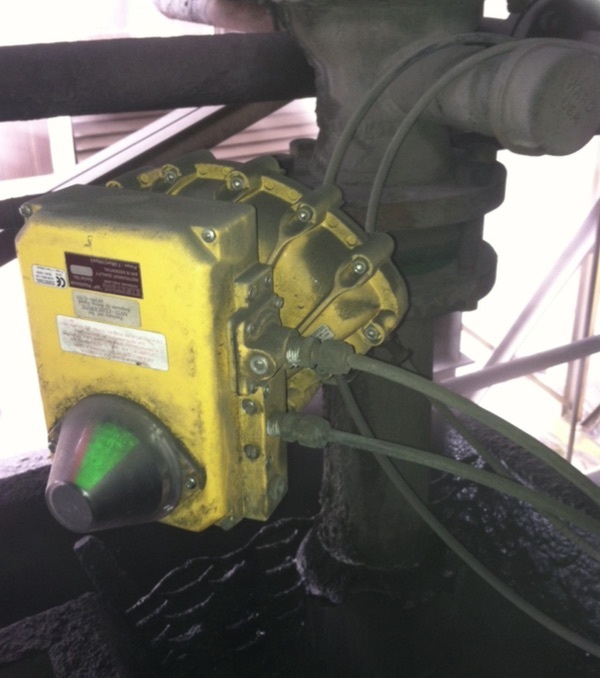 Kinetrol rotary vane actuators, spring return units, and EL positioners are ideal for this type of service. 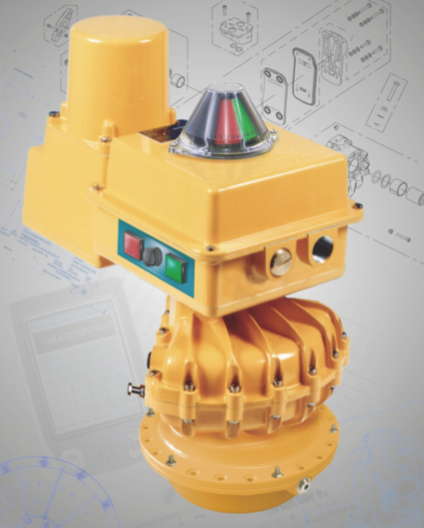 Standard design features such as epoxy enamel finishes, stainless steel screws, sealed housings, and direct mount configurations provide an automation package that is proven to outlast other types of actuators and assemblies in very challenging environments. Does Your Valve or Damper Need More Than 90 Degrees Rotation? Kinetrol’s 180° actuator is produced by adding a 2:1 step-up linkage onto the output shaft of well proven 90° vane actuators. Factory fitted, direct mount linkage units are available to suit model 02, 03, 05, 07, 09, 12, 14 and 16 actuators, giving a neat single unit with no mount kits or brackets. The linkage’s unique geometry gives constant 2:1 step-up so that the output torque remains constant throughout the actuator's travel. The all-steel mechanism of the linkage employs rolling contacts to minimise frictional losses and wear, and to maximise life. The linkage is lubricated for life, and encased in a robust, fully sealed die cast alloy casing. Exterior surfaces are protected by a corrosion resistant epoxy stove enamel finish. Standard adjustable endstops on the 90 degree actuator can be used to set the angle of travel. The other end of the 90 degree actuator allows the full range of Kinetrol modular accessories to be fitted directly. Compatible with all Kinetrol modules - Direct mounted spring returns, limit switch boxes, positioners etc. Rotary vane actuators offer distinct design and performance advantages. Rotary vane actuators do not convert linear motion to rotary motion, unlike rack and pinion actuators. No additional gearing is required and no side loading is transferred to the actuator housing. Vane actuator lip seals are the key to long life. The double opposing lip seal design, with stainless steel expanders, provides unmatched service life by using air pressure to improve the actuators seal-to-enclosure contact, and provide a “self cleaning” effect on the epoxy or PTFE internal finish. The elimination of pressure bearing o-ring shaft seals. Rack and pinion actuators require shaft sealing o-rings that are exposed to the full supply air pressure used to operate the actuator. These o-rings wear, causing leaks, a drop in efficiency, and wasted energy through air consumption. Vane actuators' double opposing lip seals isolate the supply air pressure from the actuator shaft, requiring only a low friction bearing on the shaft. Rotary vane actuators provide superior modulating accuracy. Because of the integral vane and shaft (machine from a single casting), lost motion or hysteresis is reduced dramatically which intern provides much tighter modulation and control. 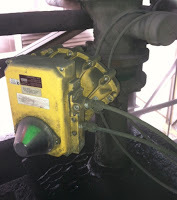 The vane actuators inherent low friction also reduces hunting and sticking. Direct mount, modular design for springs, positioners, switches, and solenoids reduce space requirements and lower inventory costs. Since vane actuator accessories direct mount to various size actuators, there’s no need to inventory and keep track of mounting kits. Rotary vane actuator spring return units are designed to be virtually indestructible. Using low stress, clock springs reduces spring tension loss and metal fatigue. 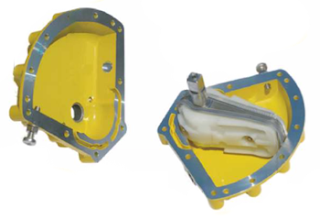 The housing for vane a actuator springs are sealed from the atmosphere, preventing corrosion of internal parts. Most importantly, these type of spring units provide the lowest torque loss which enables the section of smaller (less expensive) actuators.